Glitter nail polish: It's BEAUTIFUL but yes, it's a pain to remove! I used to be one who would take pure acetone and stick my fingers in it, leaving me with cold wrinkled fingers that were very dried out. I also would attempt to take a little cotton wipe and scrub*scrub*scrub my nails until I could scrape it all off. I've even peeled glitter polish off before (do not do this.) Then, one day, I read about the foil method. 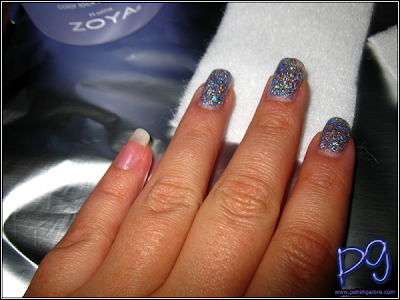 -Zoya Remove+. This is step "1" in the Zoya Color Lock system. It's a mild acetone remover with a pleasant lavender scent. I also adore the plunger top, which allows you to get the remover just where you want it. You can also relock the bottle's lid for travel or storage. -Felt. I bought mine at Hobby Lobby - I'm using white as I'm not sure how acetone and dyed felt react. -Aluminum foil. Just a square will do - you'll be crumpling it up as you go. I like to use 2 pumps of Remove+ straight on my square of felt and then wrap the felt around my finger tip. This allows for all the remover to be on your nail, not your skin. 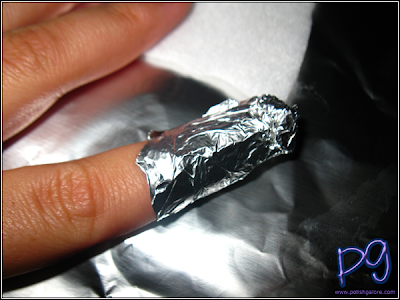 Next, wrap a square of aluminum foil around your finger. Wrap as tightly as you can so there is some pressure on the felt. Do the rest of your fingers on one hand. After the last finger, wait a good 5 minutes before attempting to remove. Yes I know this part is boring. Do it anyway. 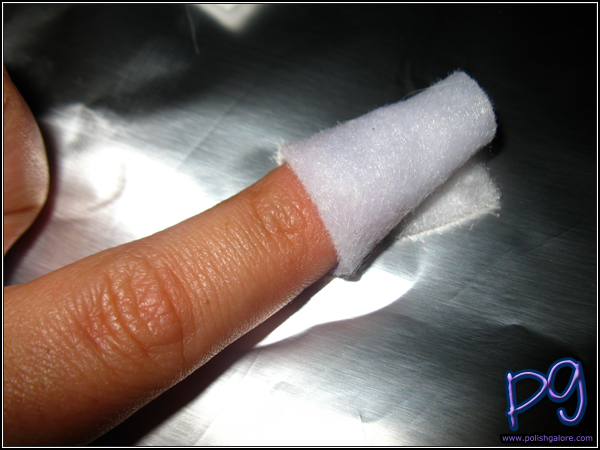 I like to unwrap the foil from my finger, and then pressing down on the felt, pull it off my finger. 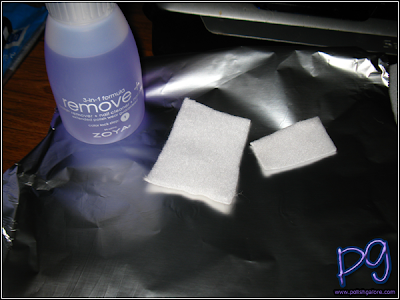 Fold over the felt and remove any glitter that didn't come off in the initial slide of the felt. Providing you covered your nail in felt, it will be easy to remove. Ta da! Hopefully this makes your glitter wearing a bit more bearable! Great tutorial! I've done this once before and it's kind of funny, but I actually did it with the same color, Sugarplum Fairy! I knew it would be a pain to remove and this method was amazing. I can't believe I never did it before that. I've never used the foil method. I usually remove the polish while I'm watching TV and just hold the felt square to my nail for a few minutes. Kinda like the foil method, just one finger at a time. This method has saved my sanity while still allowing me my love of glitter! 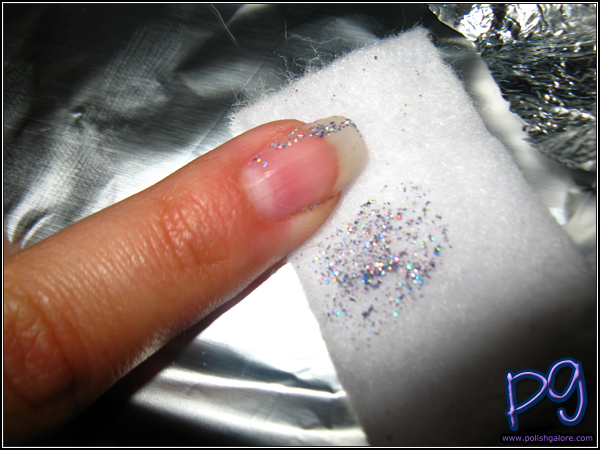 I <3 glitter polish, and this method works every time for me. The only difference I was using cotton balls not felt, but the same results! I knew of foil but not felt that new and very interesting I will have to try, thanks ya know I like to put oil before I use remover I think it helps the polish or glitter come off easier and help keep my nails and skin from getting to dried out. Can you explain your preference for felt as opposed to cotton for this method? Just curious. Thanks for the tips, I had read nail blogs for months before I learned about using felt! 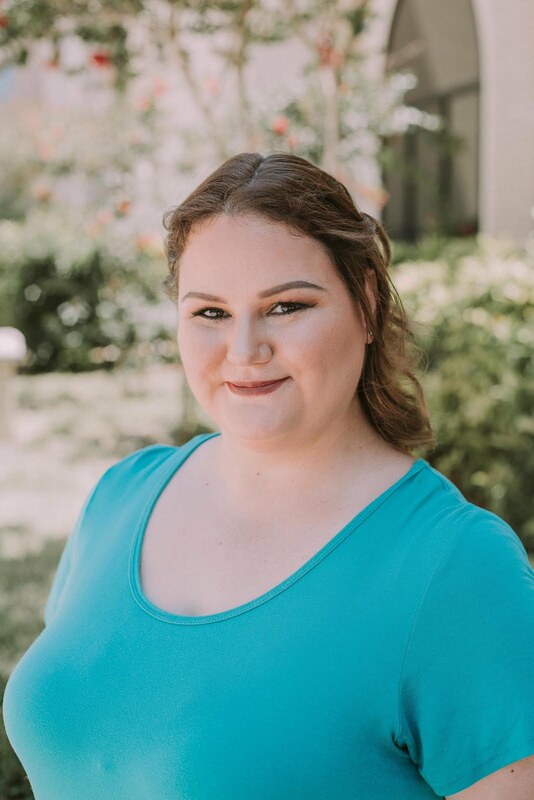 Thanks Amber! Good to know dyed felt doesn't bleed. Impoverished: I only use felt because it doesn't shed like cotton does. I hate the little wispies of cotton everywhere.